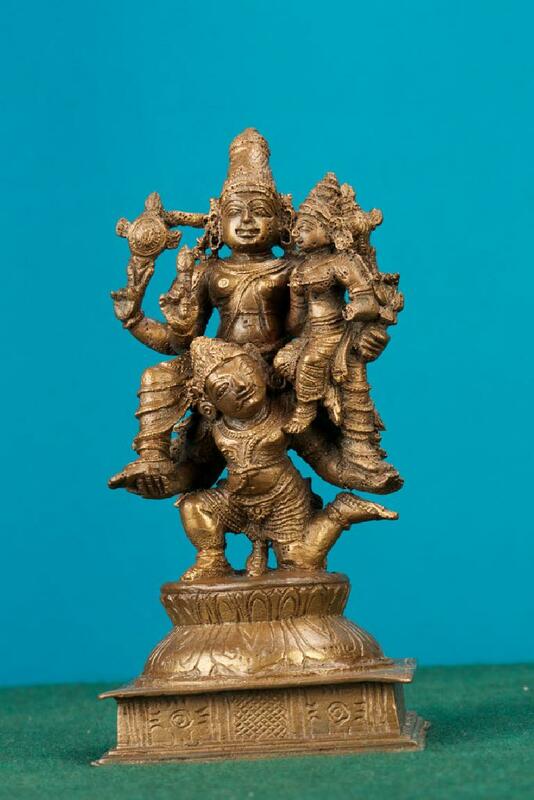 Date of Acquisition: 2-9-43 A rare exhibit among the Museum collection is this Lakshmi Narayana. The sculpture is Lord Lakshmi Narayana sitting on a Garuda. The figure is placed above a Padmapita. Here, Goddess Lakshmi is seated on the left lap of Lord Vishnu. The Lord’s hand is in alingana pose. Here Garuda is depicted in human form.